Fernando Torres is back to where he belonged - his roots. His return to Atletico Madrid, where he begun his football career 14 years ago, is almost a certainty now. His stint at Atletico from 2001 to 2007 saw him in appear in 214 games and score 86 goals. The prolific young 6 ft. 1 in. Spanish striker, 23 years old at that time, caught the eye of Liverpool manager Rafa Benitez who signed him on for £20 million, a record for the club. It was money well spent as Torres in a four-year span scored heavily for the Reds - 65 goals from 102 appearances. Chelsea, who were on the prowl for a striker, offered £40 million for the Spaniard, which was instantly rejected. But ultimately it happened. For a reported £50 million, Torres moved to Chelsea on a five-and-a-half year contract, making his transfer fee a new record in Premier League history. His debut in February, 2011 for the Blues was a portent of things to come - a 0-1 defeat to his former club, Liverpool. A desperate Torres got his first goal for Chelsea in a game against West Ham in April 2011, ending a 903-minute scoreless drought. That was his only goal in 18 appearances in the 2010-11 season. His second goal for the club came in the following season only in September 2011 in an away game against Manchester United. His problems continued when in a home encounter against Swansea City, he was shown the red-card for a two-footed challenge on Mark Gower and slapped with a three-match ban. His stint with the Blues wasn't without its shining moments, though. Coming in as a substitute for Didier Drogba, he scored in the dying minutes of the Champion Leagues semi-final at Camp Nou in April 2012 to snuff out Barcelona from the tournament. Chelsea went on to win the Champions League that year when they beat Bayern Munich in a penalty shoot-out in the final - a match in which Torres figured. But his struggles continued. After being shown two yellow cards in a Premier League match against Manchester United, he was sent off; Chelsea down to nine men lost 2-3. He got his second Champions League goal for the Blues only in December 2012, after over 11 hours of play time. The move to replace Roberto Di Matteo with Rafael Benitez as manager at Stamford Bridge was ostensibly to revive Torres's flagging form. Benitez was Liverpool's manager during the Spanish striker's heydays at Anfield. But to no avail. Torres's performance dropped. In stark contrast to his days with Liverpool, he got just 20 goals from as many as 110 appearances for the Blues. 28 Premier League games into the 2013-14 season saw him score just 5 goals for his club. Jose Mourinho, who took over from Rafael Benitez didn't wait around for things to happen. A relief exit for the out-of-form Spaniard was worked out in the form of a feeless two-year loan transfer to AC Milan. The Italians obliged. But his travails continued. In his 10 outings for AC Milan, Torres found the net just once. Four months later, a frustrated manager Filippo Inzaghi contemplated sending him back to London. But with the likes of Hazard, Costa and Fabregas powering Chelsea to the top, Mourinho was more than happy to see the back of Torres once and for all. Around that time, Atletico manager Diego Simeone was struggling with his newly acquired midfielder Alessio Cerci, who he had bought that summer in a £16 million pound deal from Lazio. Cerci was completely out of sorts at Madrid and was finding it increasingly difficult to find a place in Simeone's final eleven. A switch back to his home country Italy seemed the only plausible solution. Enter Cerci into AC Milan. With Simeone opening the door for Torres and Atletico Madrid willing to let go off Cerci, Milan decided a deal with the Madrid club would serve all the parties concerned. Chelsea, in fact, was more than willing to endorse such an arrangement. Meanwhile Simeone stated that he felt Torres would be an ideal foil at Atletico to Mario Mandzukic, the club's 30-year old Croatian striker and that the Spaniard's unselfishness and vast experience would help him blend perfectly with the squad. A major deterrent to the deal was Torres £150,000 weekly salary. Which is why Chelsea was eager to see him head back to Spain. But eventually, it was understood that an arrangement of sorts, satisfying all three clubs involved, was worked out with the striker compromising a considerable chunk of his wages. This will see "El Nino" wear the red and white stripes of his boyhood club at Madrid at least until his current contract with Chelsea expires in 2016. 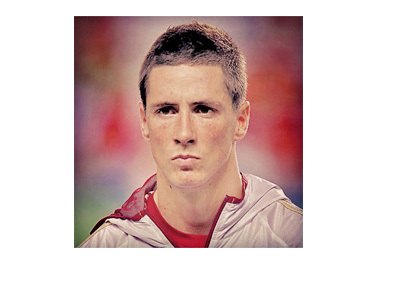 Life's turned full-circle for Fernando Torres. Chelsea sold Fernando Torres to AC Milan in a move that is seen as the stepping stone for his loan transfer to Atletico Madrid.